Did you hear about the record cold snap? Where's the global warming now? Even with climate change, it still gets cold sometimes. But hot days are happening more often. In a similar way, the normal ups and downs of weather make it hard to see slow changes in climate. To find climate trends you need to look at how weather is changing over a longer time span. When we look at high and low temperature data from recent decades (Figure 1), we see that new record highs occur nearly twice as often as new record lows. 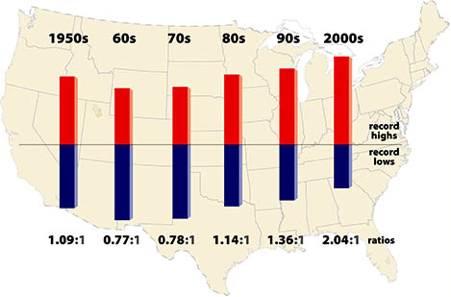 Figure 1: Ratio of record high to record low temperatures in the U.S., 1950-2009. © UCAR/Mike Shibao.